Throw Out Your Birth Plan. My Emergency Caesarean. In my birthing class at the Mater Hospital, I vividly recall the midwife saying “throw out your birth plan – on the day, things just happen”. Throw out your birth plan – on the day, things just happen. Well, I had a pretty solid vision of what I wanted from my birth experience – I wanted to try for a natural delivery with as little drug relief as possible. I’d already had several surgeries to my uterus due to endometriosis, and an existing platelet function that sits at a lower than normal level which makes blood clotting a little more difficult. I didn’t want a Cesarean. In fact, the idea of it scared me. Fast forward to the end of my pregnancy however, and the midwife’s words rang truer than true. At 34 weeks pregnancy, sitting in front of the TV watching none other than ‘Sons of Anarchy’ with my husband, my contractions decided to start. At first I wondered if it was just a bad cramp due to wind or bowel movement. Nope. The contractions were frequent and they got progressively worse. I called the hospital and they asked me to come in as soon as possible for a check-up and monitoring. Sure enough, labor had begun. As the baby was preterm (less than 37 weeks into pregnancy), the hospital staff were concerned that allowing labor to continue would affect the baby’s mental and physical development. So I was placed on nifedipine pills over 48 hours. They are calcium level blockers, that have the effect of relaxing uterine contractions and postponing a preterm birth. I also had steroid injections in case the baby came earlier, in order to help with her lung development. The week that followed was distressing. The contractions had been successfully dulled, however the baby’s movements had also dulled. Apart from small squirms, I stopped feeling her kicking. Back at the hospital, they monitored her heart rate and there was irregularity and a slight ‘skipping’ of heart beat every now and then. This continued for 4 days before the call was made by my OBGYN to get the baby out. 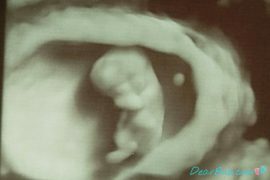 If something was distressing the baby, it would be easier to determine what it was, and treat it, if she was out of the womb. Meanwhile, cesarean became the only choice we had – they didn’t think she would be strong enough to survive labor. So after all my planning and vision for a natural birth, I ended up having a cesarean section. If it wasn’t for the midwife’s words, I think I would have been a lot more disappointed in that fact. Thankfully, I had mentally prepared for the fact that sometimes nature has its own plans. What WAS helpful was knowing with certainty the things that I didn’t want. I knew that if a cesarean had to happen, then I didn’t want an epidural. I have scoliosis in my lumbar spine, and wasn’t comfortable with an epidural or spinal. So I had my cesarean with general anesthetic. This real letter was sent to us by Mary-Anne, Sydney. Previous articleMy First Breastfeeding Challenge: Catching Colostrum With a Syringe Post-Birth. Next articleTeach the Value of Saving. Open Your Child a Bank Account.